An Author’s Musings on Culture, Folklore, and Food. This page currently being drafted. Dave Farland has a blog about writing aptly entitled “David Farland’s Writing Tips.” He publishes it a few times a week and each one is chalk full of excellent writing wisdom. Go check it out. This week, he spoke about publishers limiting what writers talk about and which writers get published. Specifically, David said publishers want socially and culturally relevant topics. It is his opinion that the publishers are handling these topics with a sledgehammer and not a scalpel – taking only those writers and topics that are culturally relevant (whatever that means). And while I am with him applauding that more socially relevant topics and writers of colour are being published, it made me wonder if that limits what I as a writer of colour will be allowed to write about. 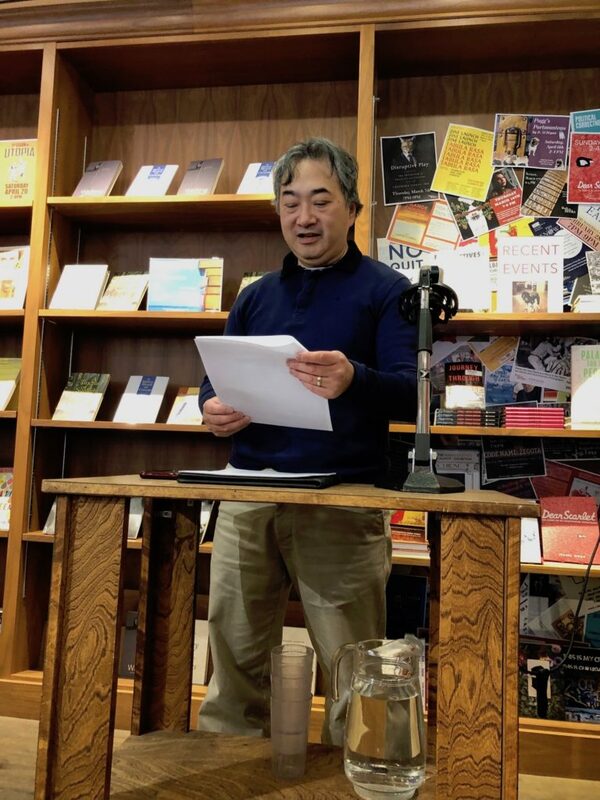 When I began my writing journey, I wanted to write about characters who looked like me because I didn’t see enough Chinese or Japanese protagonists in works of fiction, especially genre fiction (this was a while ago. The landscape has changed). I still do this today. Back then, I tended to write what I wanted. I set my stories wherever and whenever I felt like: present day, future, historical past, fantastic worlds. I never felt limited. But in today’s politically charged landscape, if I continue this trend of writing main characters who have Asian backgrounds, will I be expected to write only about race or how it affects the main characters? Will I have to write deep or can I write shallow? Just to be my racial background brings with it a huge amount of baggage that I don’t necessarily want to deal with in my writing. Just putting my character’s race into the equation is a political decision. It comes with it a large number of factors that some people will be expecting me to deal with. I’m not a political writer. I know whatever I write will be political anyway, but I never want to be seen as being a political animal. I shy away from that kind of writing. I give props to those writers of colour who can write with such grace and precision about such maters, but I don’t think that is my calling. What do you think? As a writer of colour, should I be expected to comment on racial politics and how it affects my characters all the time? Is this the only relevant way for me to get published? Leave your comments below. My reading from a short story. I want to thank Vivian Hansen for all the work she did putting together the University of Calgary Cafe for the Continuing Education Creative Writers. It was a great success. 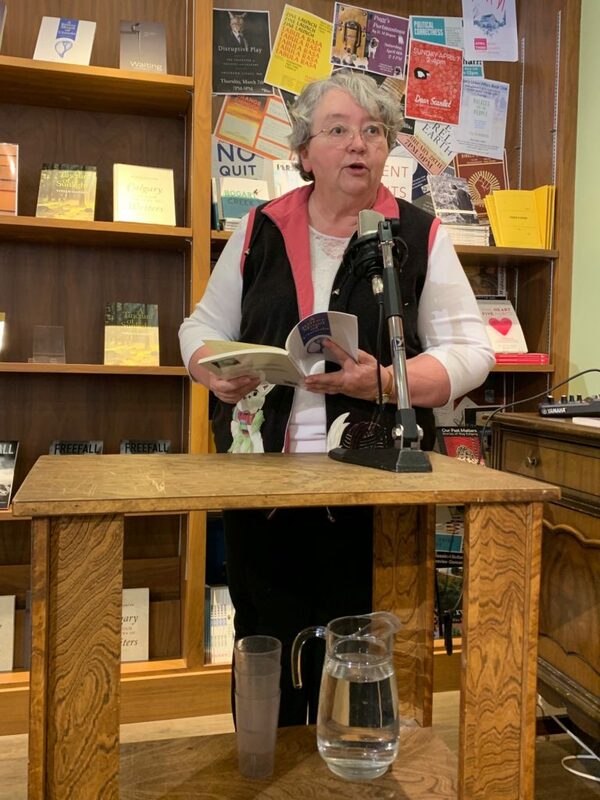 I also want to thank the folks at Shelf Life Books for providing such a stellar venue to showcase such great writers. I know another of my fellow IFWits is entering the Creative Writing program and I wish her all the luck. She will do great. It was also fantastic to finally meet Jude. Up until now, she has just been a voice on the phone whenever I needed to sign up for a course. It was great to finally meet her in person. And thank you to everyone who made it out to listen to me read and gab on about the Creative Writing program. I had some great conversations with students and former students of the Creative Writing program and hope to one day see you all published. Finally, congratulations to my friend and fellow Creative Writing Program student, Neal Debreceni (spelled that correctly, right?). The creative non-fiction story he read from, Life in the Fab Lane, was recently published in The Malahat Review, issue 205. And Neal, contrary to popular belief, signing the magazine doesn’t make it valueless, it makes it priceless. To me. 🙂 Keep writing, Neal. Next up – Calgary Comic Expo. I will be appearing at the Calgary Comic Expo. First, I will be at a IFWA Table in Artists Row (the Big 4 Building) in Booth 5422 on Friday and some of Saturday and Sunday. Come around and say hi and pick up a bookmark. I will also be on a Panel entitled The Author’s Journey with several other IFWA members. The panel will take place on Saturday, April 27, 2019 at 3:45 pm in the Palomino Room. The seating is limited, so get there early. The Japanese Emperor Akihito is abdicating the throne at the end of this month and the Heisei era will come to an end and a new era, the Reiwa era, will begin under the new Emperor, the Crown Prince Naruhito. Translated, the kanji for Reiwa can be read to mean ‘beautiful harmony’ (according to the Japanese Foreign Ministry) which in my mind, is a great followup to the Heisei era (translated as the ‘achieving peace’ era). And ever since the announcement was made, the name of the era has sparked conversation about the choice of name. For instance, it is the first era name to be taken from a Japanese poem, and not a Chinese work of literature. Just in case you were curious, its taken from a poem about plum blossoms that appear in Man’yoshu, the oldest existing collection of Japanese poetry. Second, although the translation sounds harmonious enough, the first character also means ‘order’ or ‘command.’ Sounds way more ominous and brings back memories of Japan in its more militaristic and authoritarian time (which is probably why the Japanese Foreign Ministry released the official translation above). And finally, there’s Reiwa, the real estate company in Australia which not only shares its name with the new era, but has received a lot of undue attention and site visits. Might they receive an uptick in business as well? It’s an interesting choice of name. But beyond that, how is this change of era going to affect my life and yours? Will there be earthquakes and tsunamis? Immense celebration? 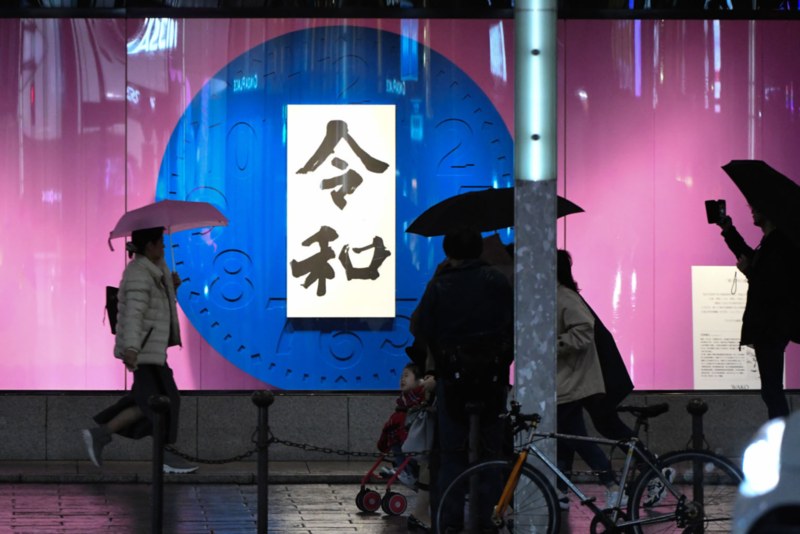 Maybe in Japan, but in the rest of the world, time will continue its inexorable march forward and only note the passing of the Heisei era with a shrug. So why should anyone not living near Tokyo care about the passing of an era? It’s a naming convention that fewer and fewer people in Japan even use (aside from official documents, most people just use the Gregorian calendar now. Anyone who uses a Japanrail pass will know what I’m talking about). Well, I can’t speak for you, but in the short term, it interested me. Maybe its because my ancestors hail from just outside Kyoto. Maybe its my curiosity as a writer that draws me into finding out more about Japan’s era naming conventions. Maybe I could use era names in my stories? Whatever the case, it made me curious enough to go searching for details about how Japan names its eras. Here is a bit of what I found and how I might use this information as a writer. This type of era naming convention is known as the Nengo (or Gengo) system. It is yet another foreign artifact brought into Japan from China after migrating its way from other south-east Asian countries. In pre-modern times, how the Japanese named their eras depended a lot on the whims of the Emperor at the time. Sometimes an Emperor would just declare a new era to give his reign a ‘fresh start.’ Sometimes, a new era would be named in the wake of a natural disaster like a tsunami. In modern times, a new era name is chosen only when a new Emperor rises to the throne: “one reign, one era name.” And the names are decided by the government, not by the Emperor. And how would I use this knowledge as a writer? The answer is probably obvious: it is another setting detail that can give authenticity to your story or novel. If you write historical fiction set in Japan, especially before the adoption of the Gregorian calendar in 1873, it behooves you to find out what era your story is set. Even if you never mention it in the story, you should know (someone, somewhere is likely to ask). But what if you don’t write historical fiction? What if you write high fantasy set in a Japanese-like setting? Or a future Japan (You can ask yourself if the population even uses it anymore and establish how many of their traditions they keep)? This is another way to give your world an air of authenticity. It’s also one more detail you can use to immerse your reader into your world. Just be aware of the many reasons Emperors in the past have used to name their eras. And if you don’t write either of the above? Or even stories set in Asia? Well, I would be remiss in not telling you that the Nengo system of era naming is unique to Japan or even China. Other cultures in south-east Asia and the Middle East have utilized similar calendars in very similar manners. And we haven’t even touched upon the lunar calendar yet. Let your imagination run wild. Now this is not the only piece of detail you need to give your story an air of authenticity, but it certainly is a detail you can use. It’s only the beginning. Time. It’s a small detail, but a good one to establish your world by. So, yeah. The world won’t come to an end on May 1 when the Reiwa era begins, but in the worlds of my imagination, it is likely to set them on fire. What do you think? Is this style of keeping time useful to you as a writer? Does it spark any ideas that you can use in future stories. Drop me a line and let me know. I’d really like to hear from you. U of C Student Cafe – April 13 at 2:00 pm at Shelf Life Books. 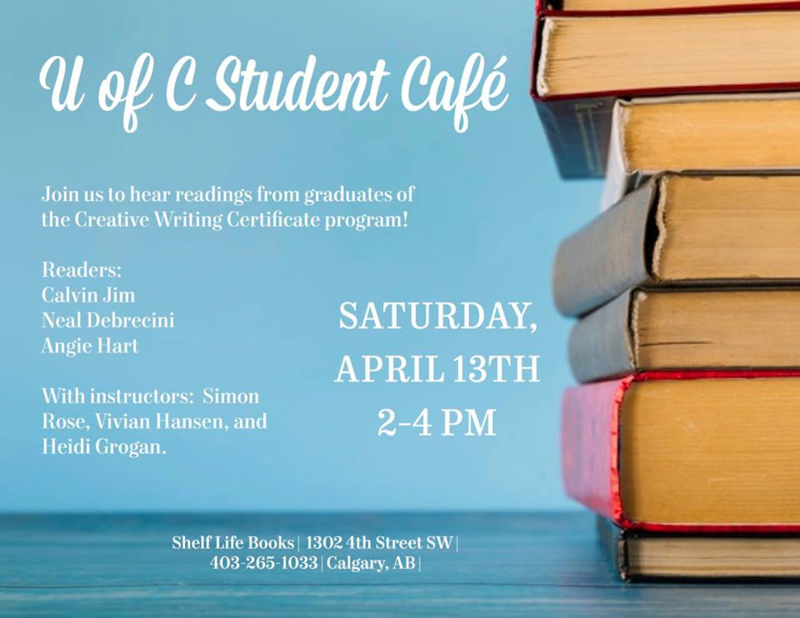 I will be reading from one of my short stories and celebrating the accomplishments of the students in the University of Calgary’s Continuing Education Creative Writing Certificate program. I would love to see you all there. 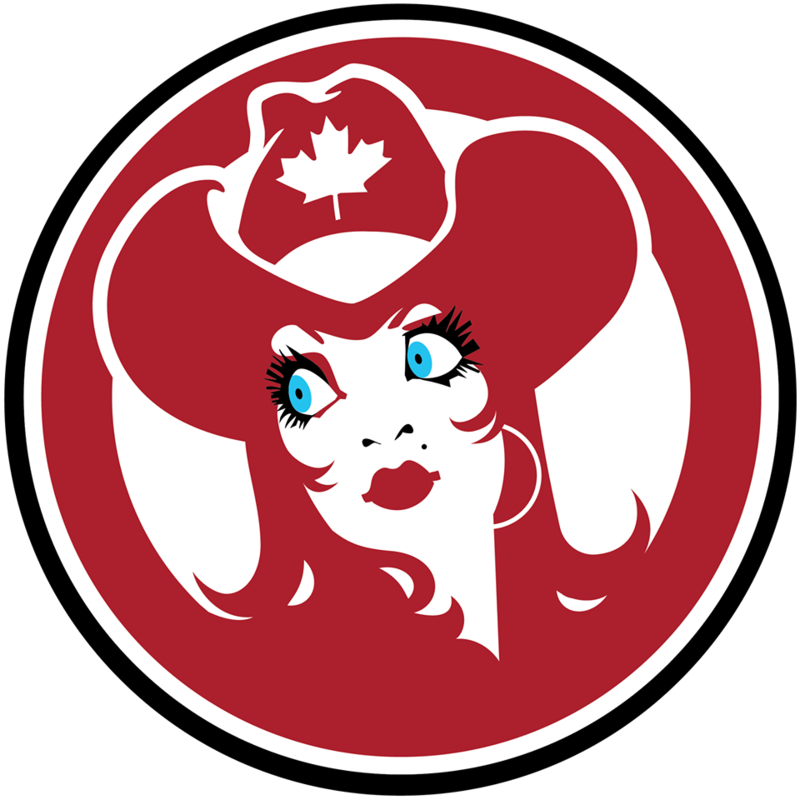 Calgary Comic Expo – April 25 – 28 at Calgary Stampede Park – I will be at the IFWA Table located in Artists Alley (in the Big Four Building). Come by and say hi. I will also be appearing on as a panelist in the Author’s Journey Panel which will take place on Saturday, April 27 at 3:45 p.m. in the Palomino Room. Join me and four other authors in discussing what the author’s journey is all about. In Karate, I’ve learned the importance of breathing. Not only how to breathe while practicing basics or kata (and most recently, kumite – but that is a whole other story), but also to stop, re-focus and concentrate on your breath. Breathe in through the nose, and out through the mouth. Slow down and focus. And that’s what I want to do with this monthly, personal column. Slow down and reflect on where I’ve been, what I am accomplishing as a writer, and where I intend on going in this writer’s journey. Join me on the 22nd of each and every month and I’ll fill you in with what I am writing, how much I am doing and where I’m appearing. Since this is the first column, there’s a lot to talk about. First, I am working on writing a story under contract (a pure epic fantasy story), editing a story for a local publication, writing a column for another local publication and outlining a novel I hope to have finished by years end. The novel will be a cross between cyberpunk and Princess Mononoke. Hopefully the thought of that concept makes a few of you excited. Plus, I have another story that is out there right now, and I’ve been waiting to hear from the publisher as to whether it is acceptable or not. I know, I know. Not a lot of substance. I can’t say much until announcements are made, and then I’ll announce them here. But what I am trying to say is…I’ve got a lot on the go. I’m trying to increase my daily word count and get stories done. And that’s hard when you’re juggling a busy family, a nine-to-five job, Karate (also with family), and writing. It’s not easy. And it is also part of why I’m doing this column. Accountability (For instance, this week I’ve written 2500 words – pretty well all on the C-Train). I’m letting you all know what I’m doing and I hate disappointing people. So, if you like my stories, I’ll be putting more out this year and hope to have my third novel written by years end. You’ll know if I succeed just by watching this column. Kuzunoha is running out of options. In just a month she’ll be an adult but as the illegitimate younger daughter of a rich noble she can only see two possible futures. Both leave her a pawn in her elder sister’s game as family matriarch, a future as unacceptable to Kuzunoha as it is unavoidable. That changes when Kuzunoha saves the life of a stranger. In return for her help, the stranger offers her a way to have a future that doesn’t tie her to her family. He’s heard of a forgotten treasure nearby and needs a guide to help him search for it. 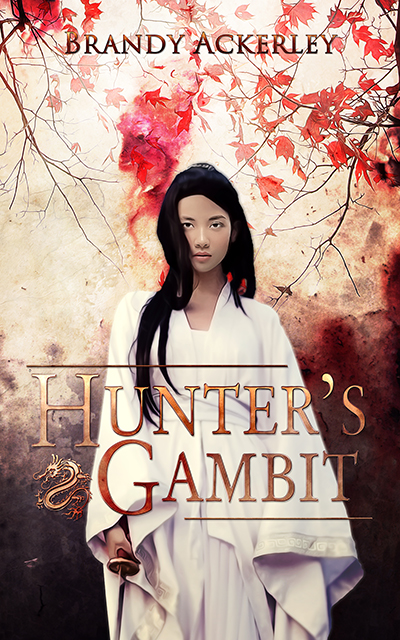 Her family and friends don’t trust this dangerous man’s offer, but Kuzunoha accepts, knowing that she can’t live the life her sister wants for her anymore. Will she succeed in proving she can have a life outside of her sister’s shadow? Or will it all fall to pieces around her? If I were to ask you to think about Japanese food, what is the first food that springs to mind? Teppanyaki? Tempura? Sukiyaki? Yeah, that’s it. You’re nodding, aren’t you? Nothing against sushi, it’s great in all its forms. But it is far from being a Japanese staple. These days, my go to Japanese food is ramen. 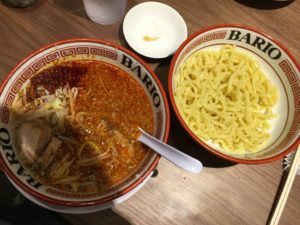 Not the dry noodles in packages that every university student is familiar with (my favourite is Sapporo Ichiban), but ramen served in Japanese restaurants that specialize in ramen. In Japan, ramen has been popular for decades. There is even a museum dedicated to the noodly goodness. But in the past 20 years, there has been a ramen renaissance of sorts – a renaissance that is only hitting North American shores. 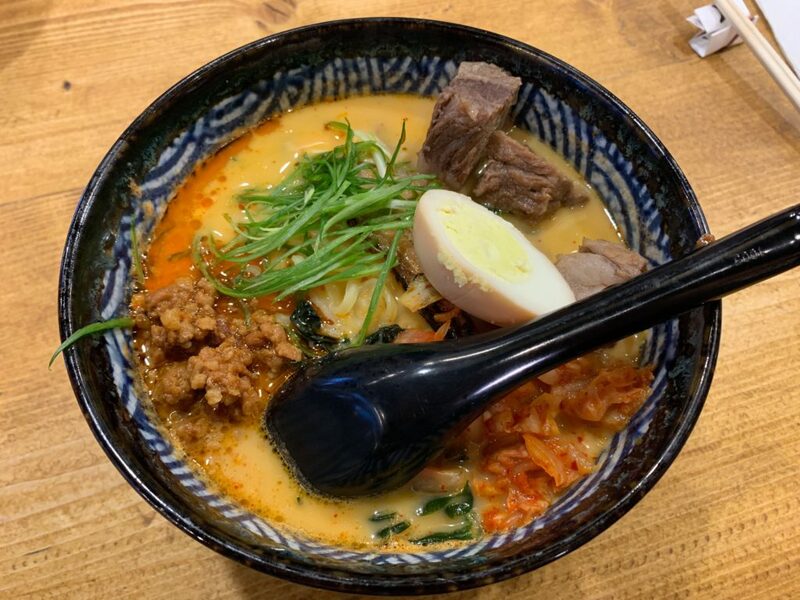 There are around 21,000 ramen restaurants in the Greater Tokyo area (Japan Explained FASAQ) but only a handful in Calgary. A number that is sure to grow. And what do I like about? Everything. It is not as simple as just noodles in soup. The broth alone can take almost a day to simmer and the heady aroma of pork, ginger and other spices makes my head spin. Good ramen restaurants make their own noodles from scratch. Some even make their own chashu: delicate slices of barbecued pork belly that break apart on your chopsticks. The rest of the toppings range from bamboo shoots, green onions, soft-boiled eggs and corn. Other restaurants get even more exotic. I’m getting hungry just writing about this. Tonkotsu Ramen: a ramen-traditionalist’s dream. A broth made with pork-bone and other seasonings and simmered for a day to create a thick broth that sticks to the noodles. The umami in a well-made bowl of Tonkotsu Ramen cannot be overstated. It’s heaven. Shio Ramen: Not to be confused with Shoyu Ramen (soy sauce broth base) the broth in this dish is made from salt. But it is not as simple as it sounds. The number of components in shio ramen broth alone take a day to create. The balance of salt and pork fat, if done right, will make you immediately wish for another bowl. Tsukemen: Okay, I lied. There is another type of ramen I like, but its not fair to most people reading this. So far, I can’t find this on the continent. I had to travel all the way to Hawaii to enjoy this ramen dish. Tsukemen is served with hot broth and cold ramen noodles. The broth is more concentrated. You dip the noodles into the broth and consume. Exquisite when done right and I like to think I would go back to Honolulu just to have another bowl or two. So there you have it. If you want to try a dish that many Japanese have on a daily basis, find a local ramen restaurant and chow down. You’ll find yourself traveling to Japan, at least in your stomach. And now, it’s your turn. Send me an e-mail and let me know if you have tried ramen and if so, what is your favourite kind. 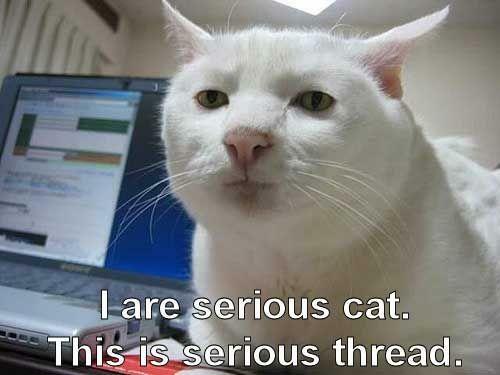 One last thing: My next post will be up on March 22 and the 22nd of every month hereafter. This post will be a column entitled “Breathe In, Breathe Out” and will be a monthly post about my writing – where it is going and what I’m writing. So, see you in two weeks. 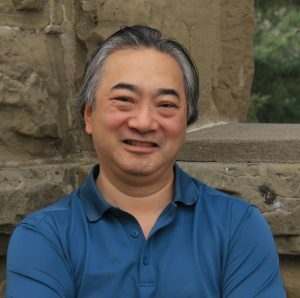 A Prix-Aurora Award nominated author of the short story Rose’s Arm and co-editor of Shanghai Steam, Calvin D. Jim is a Calgary lawyer-turned-author whose Asian-inspired stories have appeared in numerous anthologies and publications. A self-proclaimed geek, he managed to wrangle his wife and two sons into board games and Karate (not necessarily in that order, and not without injury). His latest stories can be found in the anthologies Where the Stars Rise: Asian Science Fiction and Fantasy and Enigma Front: Onward. 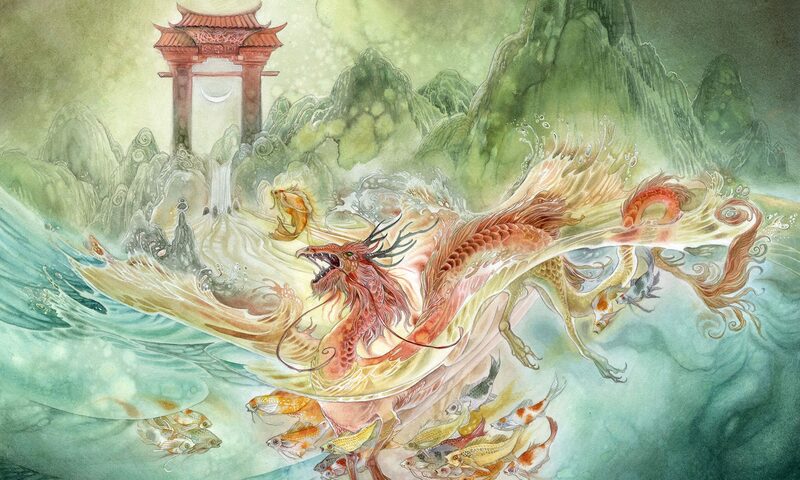 Find more art by Stephanie Pui-Mun Law at Shadowscapes.